An international team, including astronomers Ito from the National Astronomical Observatory of Japan (NAOJ), Seoul National University, Chiba Institute of Technology, and other institutes, used the 1.6-m Pirka Telescope at Nayoro Observatory in Hokkaido Japan to observe the near-Earth asteroid (3200) Phaethon. They studied the changes in the polarization of the light it reflected at many different illumination angles. 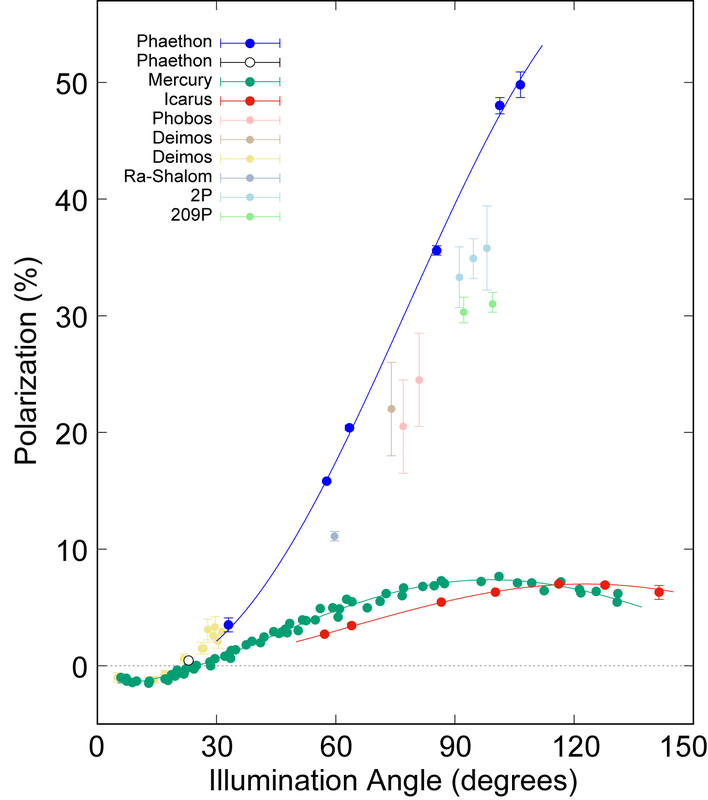 The results show that at some angles, the light reflected from Phaethon is the most polarized light ever observed among small bodies in the Solar System (Figure 1). This research was published in Nature Communications on June 27, 2018. This study is partly supported by the NRF grant 2015R1D1A1A01060025 funded by the Korean government (MEST), the JSPS Kakenhi Grant (JP25400458, JP215K13604, JP216K05546, JP218K03730), and the MEXT Kakenhi Grant (JP17H06457). 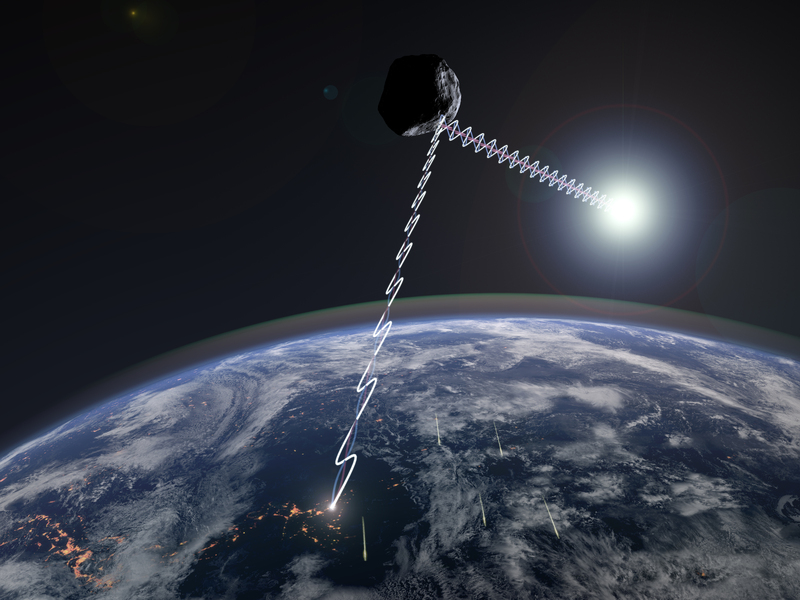 NAOJ Press Release "New Mystery Discovered Regarding Active Asteroid Phaethon"